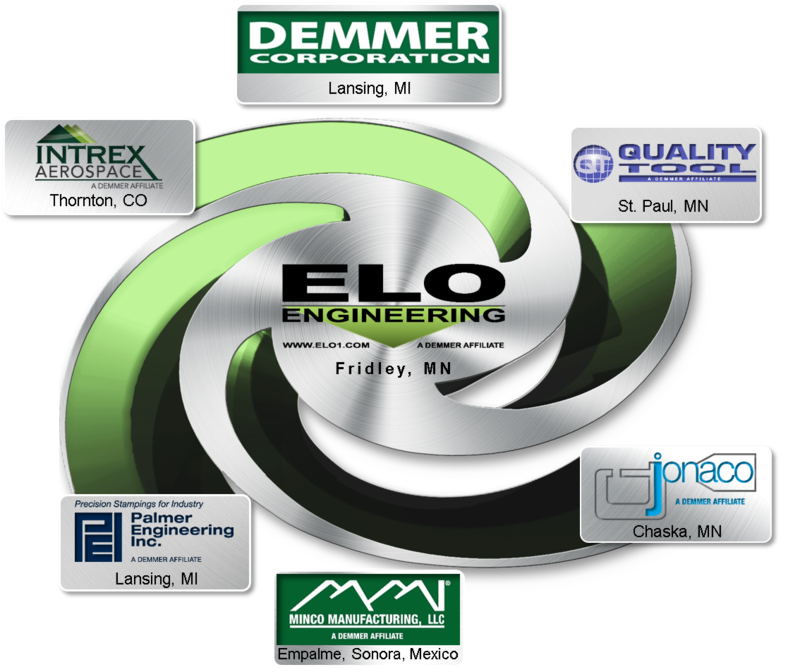 While ELO Engineering is a small but nimble, highly responsive and adaptive contract manufacturer, we are also an integral part of a much larger and one of the nation’s most powerful manufacturing organizations. As a Demmer Corporation Affiliate, we have the resources, capabilities and stability of a much, much larger company. A company you can trust and have confidence in to keep you on the cutting edge of technology and ahead of your competition now and in the future.